I got an email this week from Amazon. Two things struck me as odd about this. First off, I don’t think I’ve ever gotten emails from Amazon before. Secondly, they sent me an email entirely about Harley-Davidson books. Quite strange. I’m not the biggest Harley-Davidsonista out there, I admire them as much and as little as I do every other brand, but I saw the coffee-table value in a couple of these books. If you’re like me and think the best accessory for a living room that already has a big screen tv and a dog is a nice hardcover book about motorcycles, this post is for you. 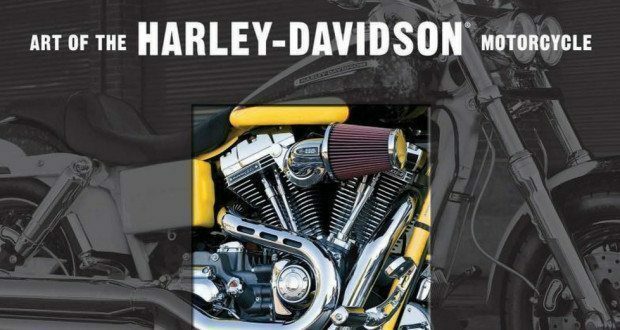 Since its earliest days, the Harley-Davidson Motor Co. has saved examples of nearly every motorcycle it has ever built. 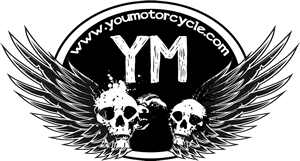 The resulting Archive Collection is the most important motorcycle collection on earth. In over 600 studio portraits, Harley-Davidson and master photographer Randy Leffingwell present this historically significant collection of production models, racing bikes, and one-of-a-kind prototypes. Good to know: You can pick up a used soft cover for as little as $1.60. Score! Photographer David Blattel treats every photo shoot as a work of art. When his subjects are the works of art produced by the motorcycling maestros from Milwaukee, the results are doubly beautiful. Art of the Harley-Davidson® Motorcycle pulls together the best of Blattel’s Harley-Davidson portraiture–over 100 stunning machines–resulting in a breathtaking review of Harley-Davidson’s greatest hits from the early 1900s to today. Harley-Davidson expert Dain Gingerelli puts each machine in historical and technical context with informed profiles. The result is a handsome, informative overview of Harley-Davidson’s 100-plus years of style and innovation. Good to know: Dan Gingerelli knows his stuff. Having started his career in the 1970s, he’s been the editor of six motorcycle magazines and two other motorcycle related books. Lastly as a bit of a closet history-geek I thought this one would be interesting. It isn’t 60% off, but the hardcover price is still under $14 and the reviews seemed consistently favorable from top to bottom. The exciting color history of the battle between Harley-Davidson and Indian for control of the American motorcycle market. Includes color photographs of restored motorcycles, archival photography prior to World War II, advertisements, race posters, and memorabilia. Harley-Davidson and Indian mirrored each other’s designs, with one and then the other, introducing new technology and forcing the other back to the drawing board. Good to know: This 2013 reprint book has been reviewed 5 times on Amazon between 1999 and 2013, all 5 readers gave it some very encouraging 5 star reviews. The hardcover can actually be had, shipped to your door, for under $15. Full disclosure: This article contains affiliate links, meaning if you buy any of these books I should, theoretically, collect something like 40 cents, or almost enough to buy half of a doughnut. The email I received contained six recommended books on sale, but after going through all of them these were the three I thought were worth sharing with you.